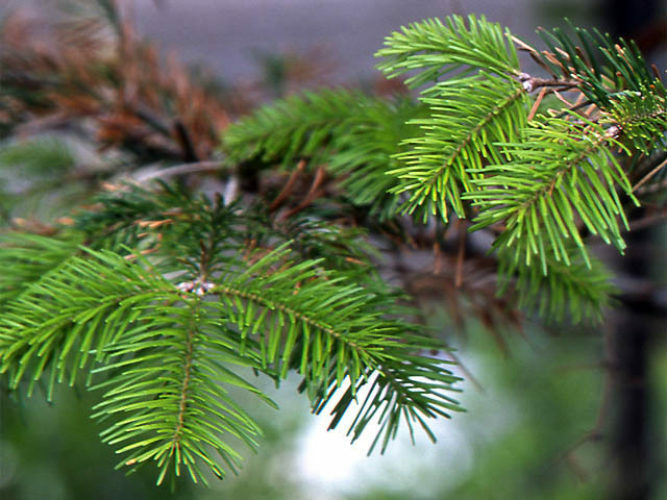 Abies sachalinensis var. nemorensis, first described in 1919 by Heinrich Mayr (1856 – 1911), is a variant of Sakhalin fir native to Russia — Sakhalin island and Japan — Hokkaido. It differs from the typical species by having smaller seed cones with hidden bracts.